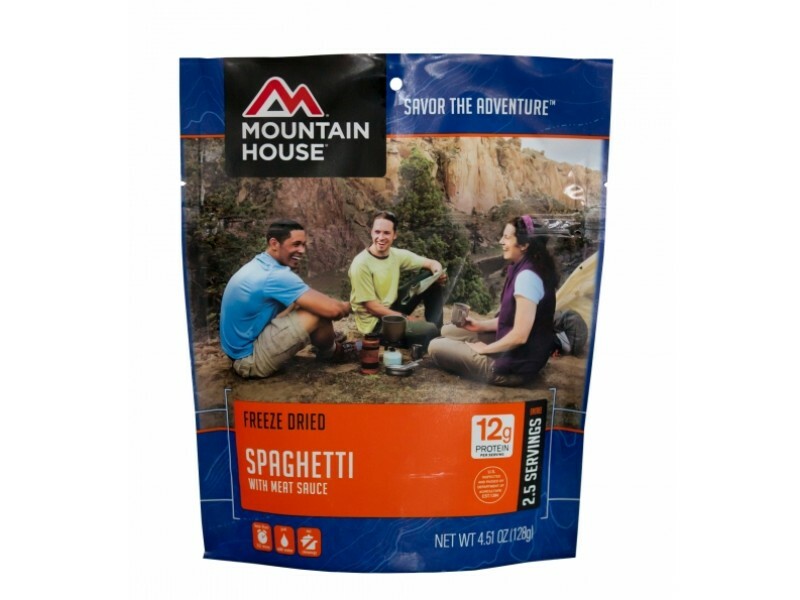 Spaghetti from Mountain House is a popular item, largely because of the fact that just about everyone loves this great meal. It will be delivered in a high quality, long lasting pouch that will ensure the spaghetti has a 10+ year shelf life. When you’re ready to enjoy this spaghetti, just open the pouch, add in the hot water and enjoy. Buy one for yourself, or stock up for your entire family. Whatever you need it for, we’ll be happy to deliver this great tasting meal to you. 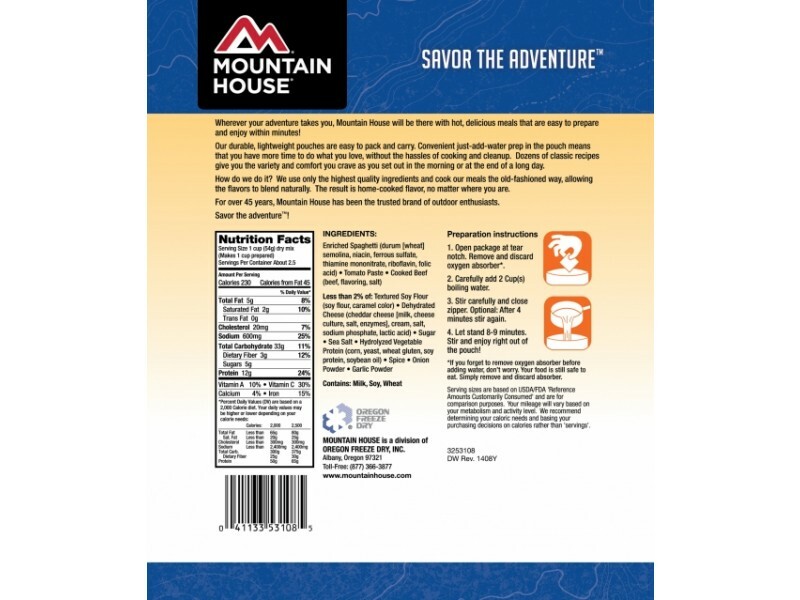 Mountain House spaghetti is a great tasting meal that everyone will enjoy. Whether you have a family with small children who may be picky eaters, or you’re just trying to expand an existing food storage program to include some additional items, this is a great product. You’ll love the taste, of course, and the fact that it can last for so long on the shelf. In addition, it is extremely simple to prepare, taking just a few minutes after you add in the hot water. This spaghetti is commonly used for a disaster or emergency food stockpile. Saving up food for an emergency is getting more and more common, and given the state of the world today, it is not hard to see why. 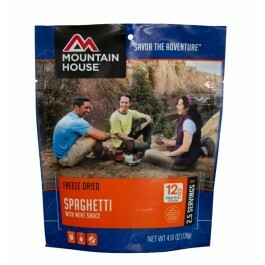 Other people, however, use this great tasting spaghetti as a meal when they are out camping or hiking. 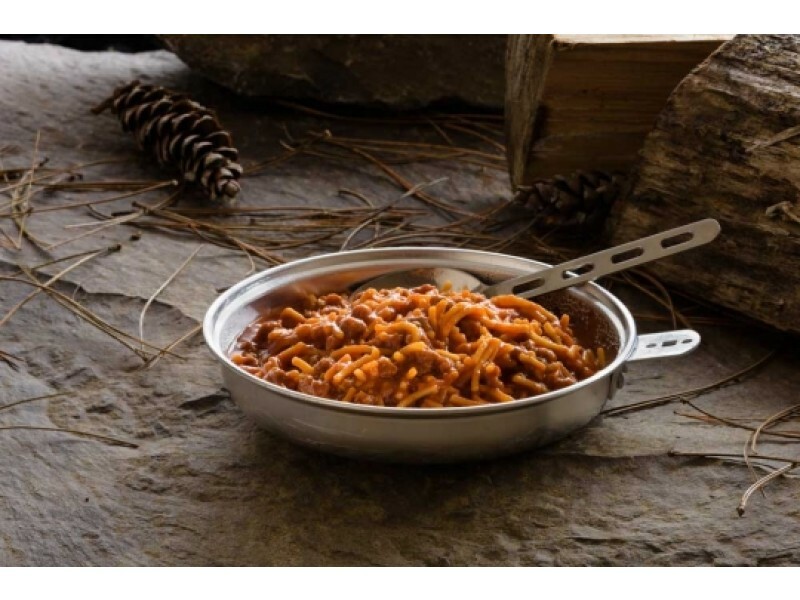 Having the ability to make up a delicious meal in just a few minutes, without needing any pots or pans to cook with make it a very convenient option for all types of activities. Adding this delicious meal to your emergency food stockpile will help ensure you always have the great tasting food you need, no matter what life has to throw at you. Pick up one pouch, or stock up on them, just make sure they are there when you need them.